Our analysis revealed that gains made over 2017 seemed to firm up in nearly all price brackets this year. 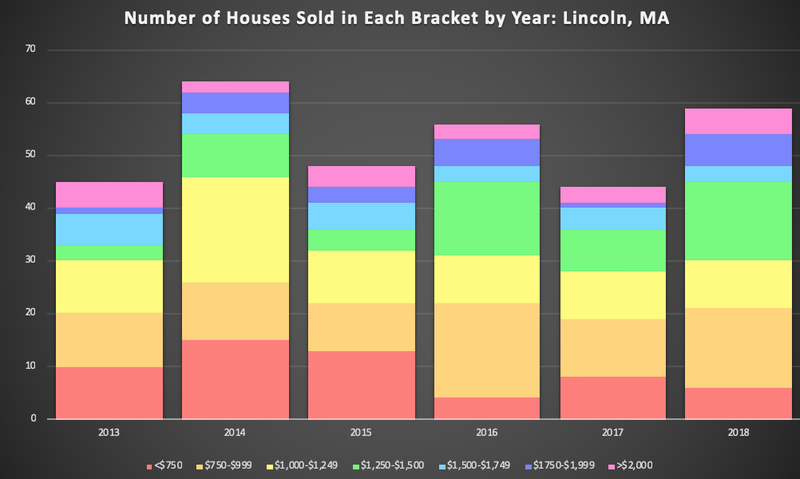 What is the historic context for our current strong seller’s market in Lincoln? Here’s our sneak-peek look at the year in review. We’re also interested in what Lincoln looks like when compared to other neighboring towns (the entire data is available below). The entire data is available below. Please contact us with any questions! First, we like to consider the market broken into segments, or seven price brackets, because we often see different segments moving in different directions based on buyer demand. When we look at these trends, we see that the number of houses that have sold in the top three price brackets (>$1,500,000) has increased. Aside from a trend away from the >$2M homes, it’s clear that demand for single family housing in Lincoln has strengthened in 2018 over 2017, though there aren’t major changes over the past five years. When considering the market in Lincoln versus its neighbors, one could look across those same five price brackets, but the analysis gets very tricky as the housing stocks vary so much. But if we narrow the scope so as to compare similar houses (whether those houses are above or below the averages for the town) we can get a sense of apples to apples comparison. What you see in the table below is the sold properties in 2018 matching the criteria of having exactly 4 bedrooms and between 2500-4000 square feet. If that was the house a buyer sought, that buyer would have – on average – experienced the following market in each town. 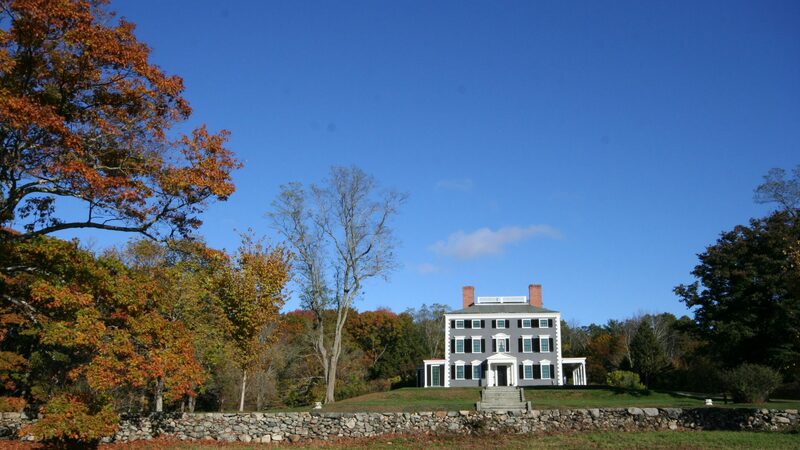 Aside from the fact that many of the 11 houses in Lincoln matching these criteria had large lots, which increased the total lot size over two acres, Lincoln is closely tied with Concord for third place behind Weston and Lexington and ahead of Bedford and Wayland in sale price and price per square foot. Interestingly, Lincoln continues to resemble (but beat) Concord and Weston in days to offer, as Lexington, Wayland and Bedford continue to experience a hotter, faster demand. Although I haven’t analyzed these data over years, I’m confident that the decreasing trend in days to offer experienced in Lincoln is not consistent with other towns, meaning that the market in Lincoln feels like it has pulled ahead of Concord. Here is the data for the information aove relating to 2013 through 2018 Single Family houses broken into the five price brackets: <$750,000, $750-$999,999, $1M-$1.249M, $1.25-$1.499, $1.5M-$1.749, $1.75M-$2M, >$2M.